Get ready for early high-country drives this spring as the Washington State Department of Transportation plans to open Cascades mountain-pass roads earlier than most years. Two mountain pass roads in Washington’s central Cascades, Cayuse Pass and Chinook Pass, are scheduled to open for the season in late March and early April since the low snow pack makes clearing easier. The North Cascades Highway also is due to reopen early; road-clearing began Monday from the east (Methow Valley) side and will start March 23 from the west side. WSDOT hopes to open the North Cascades route within a month. Cayuse Pass, on the east side of Mount Rainier National Park, is scheduled to open on Friday, March 27. Chinook Pass, five miles east of Cayuse and just outside the park, is due to open on Friday April 3. 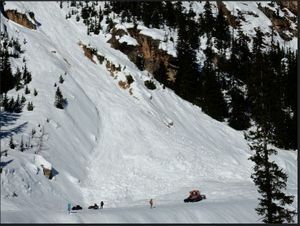 The passes close each winter because of avalanche danger. The 4,675-foot Cayuse Pass is at the junction of State Routes 123 and 410 and connects to Chinook Pass. Last year, Cayuse didn’t open until May 16. The 5,430-Chinook Pass opened last year on May 23.